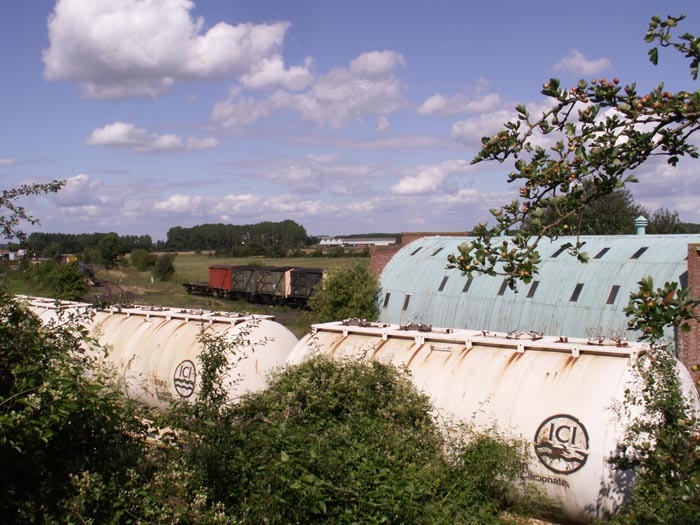 On a journey out into Gloucestershire, to see a client for work, in the then-heavily flooded Gloucestershire, I happened to notice a glimpse of a railway facility in the middle of the countryside so I decided, on my way back, to take a closer look. 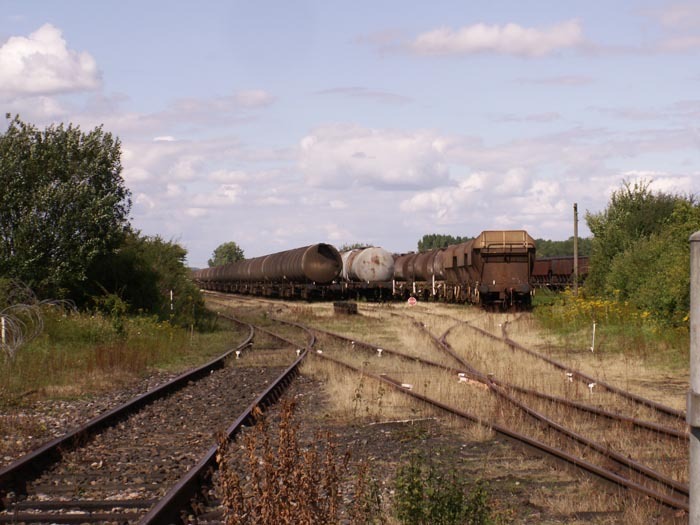 The photographs below show the 478 acre ex-MOD base at Long Marston, vacated a few years ago by the British Army Engineer Resources Unit. 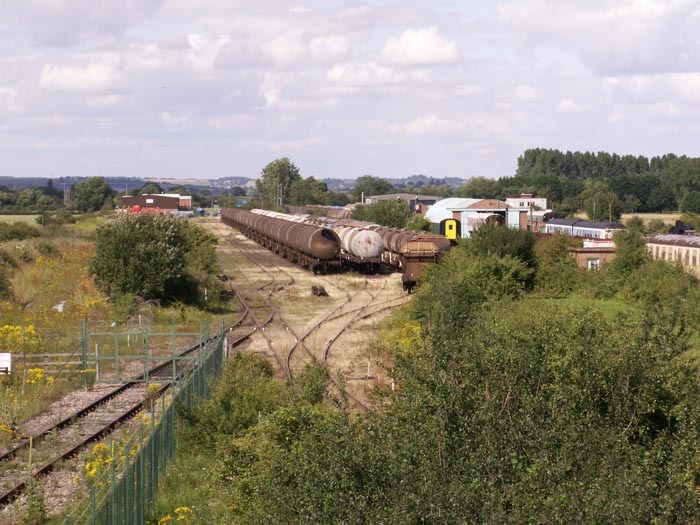 The site now is used for wagon and loco storage by the Avon Valley Railway, among others, and is now largely owned by St Modwen Developments. Unfortunately, after my visit, I discovered that the now-closed Long Marston station was sited just around the corner from here! This view shows the site looking down from Long Marston Road bridge. 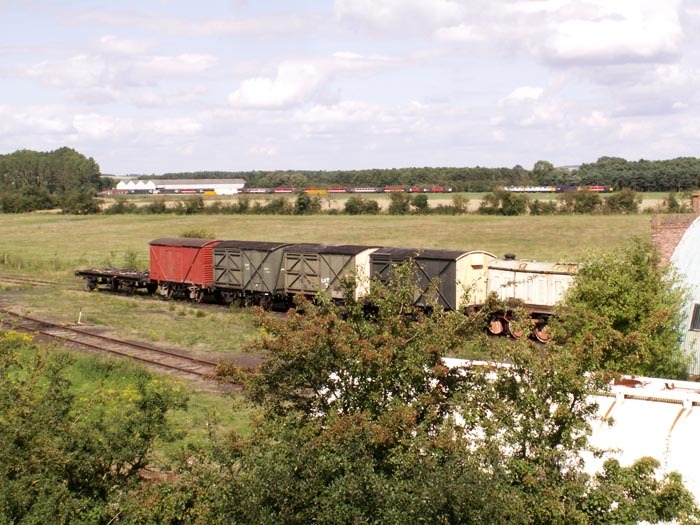 From the same vantage point, an ex-MOD diesel shunter and wagons site in a siding whilst beyond, in the distance, a large array of diesel locos lie dormant. 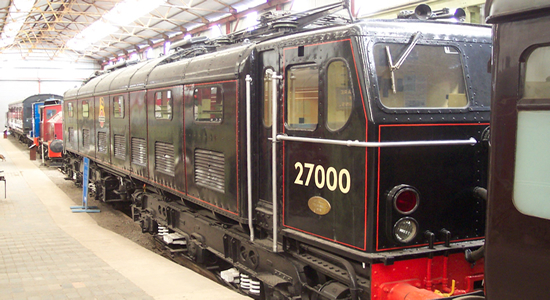 The site is full of an interesting array of wagons and tankers, as seen here. I negotiated my way down to the line serving the works and took this shot from the gated rail entrance to the site.